Next Post4 Videos that do a good job in attempting to explain synesthesia. Number 4 is my favorite. Download the Synesthesia Meditation App from Play Store. Over 150 exercises of Synesthesia Meditation App are available in the Sensorium. With the new App, you can access your daily sensory activities even faster. The Sensorium is now just one click away. You do not need to open it in your browser anymore. Having Synesthesia Meditation supports you in establishing your mindfulness routine. Don’t forget, do it 10 minutes per day and you will feel the benefits within a week. Over 150 exercises on your SmartPhone. All the functionality of synesthesia.com as a downloadable app. You can still use your user account and retain all of your stats. 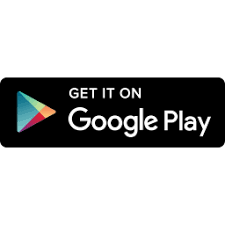 Download the App now for free in the Play store! Over 3 hours of content for free. Continue your synesthetic mindfulness journey today with the new app. We hope to see you in the Play Store! 4 Videos that do a good job in attempting to explain synesthesia. Number 4 is my favorite. Hello, my name is Marc.